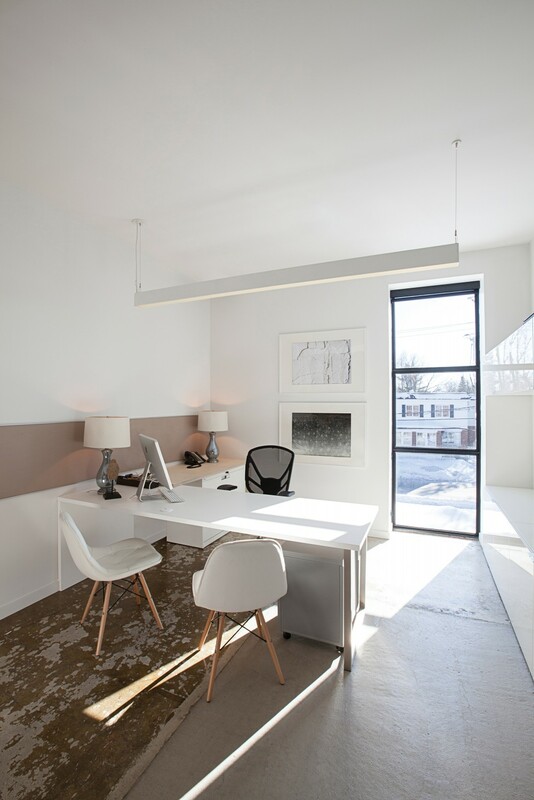 For its new headquarters, Ricardo Media converted an old warehouse in St-Lambert, Quebec, into a multifunctional workplace, including an interactive demonstration center, four kitchens, and a boutique. The team wanted to showcase the interior design elements and outdoor wooden arch, all while making the most of the natural light that flooded the space. 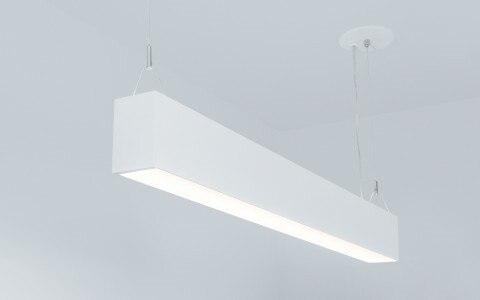 For the directors' offices, Lumenline Pendant Regressed were installed because they offer a versatile lighting for all needs, such as meetings, office work or creative time. "Lumenpulse was the only vendor that met the performance requirements we needed, all while offering the modern look that Ricardo wanted,” Klotz says. 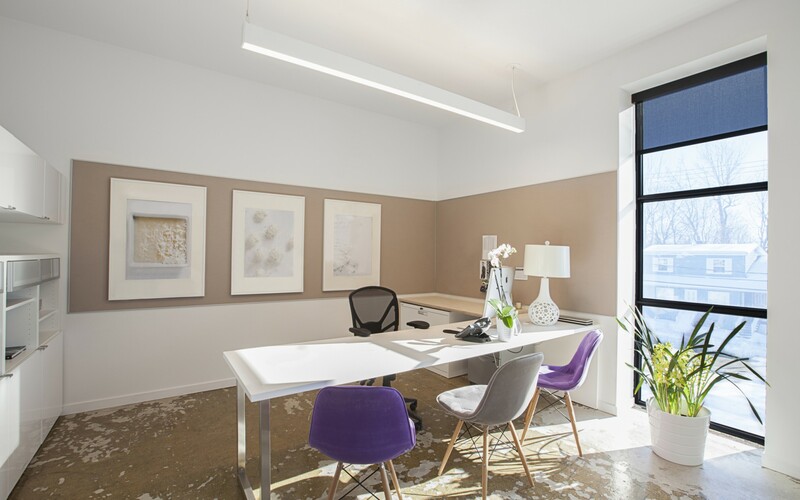 To create bright, lively workstations in the open-concept office, the firm chose 14-foot Lumenline Pendant Direct luminaires in 2700K. 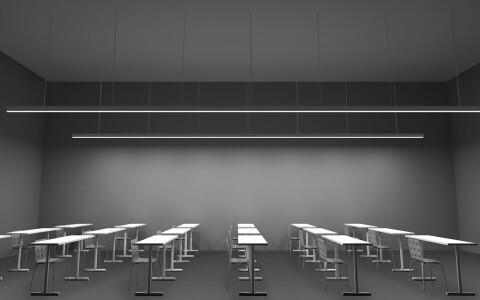 The Lumenline Pendant Direct luminaires allowed to deliver bright uniform light, which is perfect for the open spaces. Lighting Design: KL Projekt Inc.
Ricardo Media chose Lumenpulse's Lumenline family of luminaires to give its new headquarters a friendly and vibrant atmosphere. Lumenpulse was the only vendor that met the performance requirements we needed, all while offering the modern look that Ricardo wanted. For its new headquarters, Ricardo Media converted an old warehouse in St-Lambert, Quebec, into a 40,000-square-foot multifunctional workplace, including an interactive demonstration center, four kitchens, and a boutique. "The main challenge was to redefine the space, and to give life to Ricardo's vision: a unique setting that celebrates the art of cooking, creativity and especially family values, which are very important to him," said Caroline Klotz, designer at KL Projekt. "The Ricardo Media team wanted modern, high-end lighting, with clean lines, which contrast the industrial nature of the structure. They also wanted to showcase the interior design elements, such as the wooden barn walls or the 3D wall, and outdoor wooden arch, all while making the most of the natural light that flooded the space," she said. 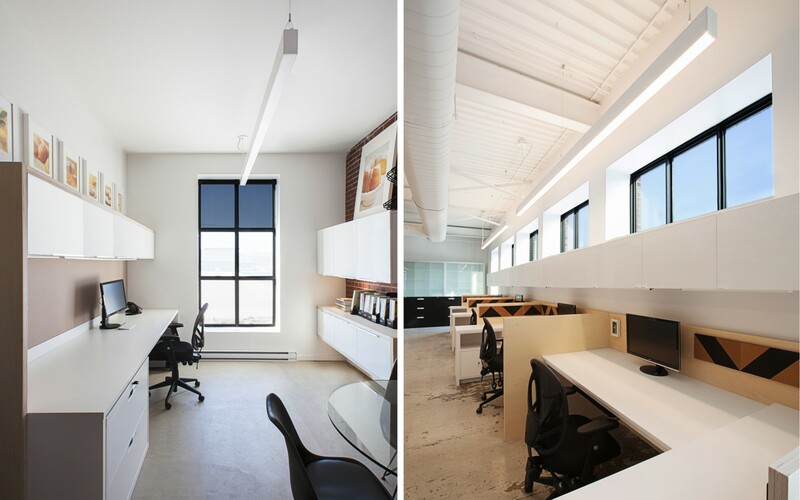 To accomplish this, KL Projekt used a variety of Lumenline Pendant luminaires. "Lumenpulse was the only vendor that met the performance requirements we needed, all while offering the modern look that Ricardo wanted," Klotz said. "The Lumenline Pendant Direct luminaires allowed us to deliver bright uniform light, which is perfect for the open spaces," Klotz said. 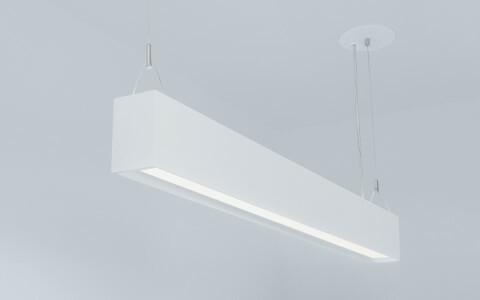 In order to provide flexibility for multi-use executive offices, KL Projekt used Lumenline Pendant Regressed luminaires. "The flexibility of the Lumenline Pendant Regressed fixtures gave the Ricardo team the ability to change the lighting as needed, whether it be for meetings, office work, or events," Klotz said. Lumenfacade Interior luminaires were then used to accent the wood of the entrance, which further defined the steel staircase. 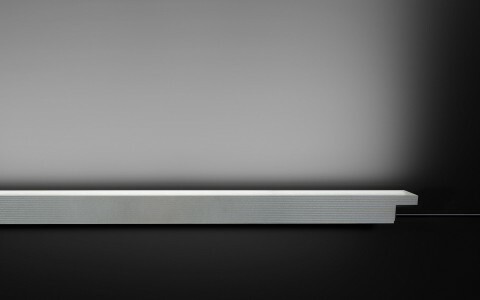 "The Lumenpulse team was a constant source of creative ideas and support, which really ensured that everything ran smoothly at all stages of the project," Klotz said, adding that the experience was not without a touch of hometown pride, "We are proud to be associated with a Quebec company that provides high-quality products and excellent service."